Here is a news from IGNOU, students looking for admission for IGNOU MBA 2014 can now apply for OpenMAT XXXV. Students who will appear in OpenMAT XXXV will be able to get admission in July 2014 session into various management courses. The IGNOU OpenMAT emtrance exam will be held on Sunday,23rd Feb 2014. IGNOU will admit students through OpenMAT 2014 into the following courses. The above mentioned Degree, Postgraduate Diploma & Diploma courses will be delivered through IGNOU study center network which has been spread through out the country. Students will be able to attend the classes from July 2014 session. OpenMAT 2014 Entrance Exam Date : Sunday, 23rd February 2014. Last Date to Buy Prospectus : 15 January 2014. Last date to Submit Application Form: 20 January 2014. Candidate must be graduate with at least 50% marks for general category and 45% marks for reserved category with 3 years post qualification experience. Professional Degree in Engineering/Medicine/Chartered Accountancy/Cost and Works Accountancy/Company Secretaryship/Law with 50% marks. There is no age bar to apply for admission into above mentioned course. IGNOU has the right to accept reject your application. Don't forget to send your application form before 20th January 2014 to Registrar, IGNOU, Maidan Garhi New Delhi 110068 by Registered Post or Speed Post. Students can obtain IGNOU prospectus 2014 for management courses by sending a demand draft of Rs.1050 to Registrar, IGNOU, Maidan Garhi New Delhi 110068. 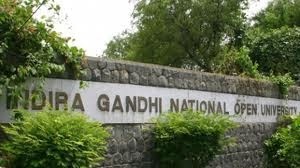 The draft should be made in favor of IGNOU, payable at New Delhi. Don't forget to write your name, address on the back of DD. You can also obtain IGNOU prospectus 2014 from regional centers by paying Rs.1000 cash at sales counter. Don't forget the last date to obtain handbook and prospectus is 15th January 2014. You may also download application forms & prospectus from IGNOU official website (www.ignou.ac.in). Students who download application form & prospectus online from IGNOU website are required to send a DD of Rs.1050 in favor of IGNOU to Maidan Garhi New Delhi 110068. All filled forms must be reached to IGNOU before 20th January 2014. Students who qualify OpenMAT 2014 can submit the form 2 available in prospectus along with hall ticket of the entrance test to respected regional center along with required fee. Remember the last date to apply for admission is before 31 May 2014. To read the full OpenMAT notification, you may download the same from here.